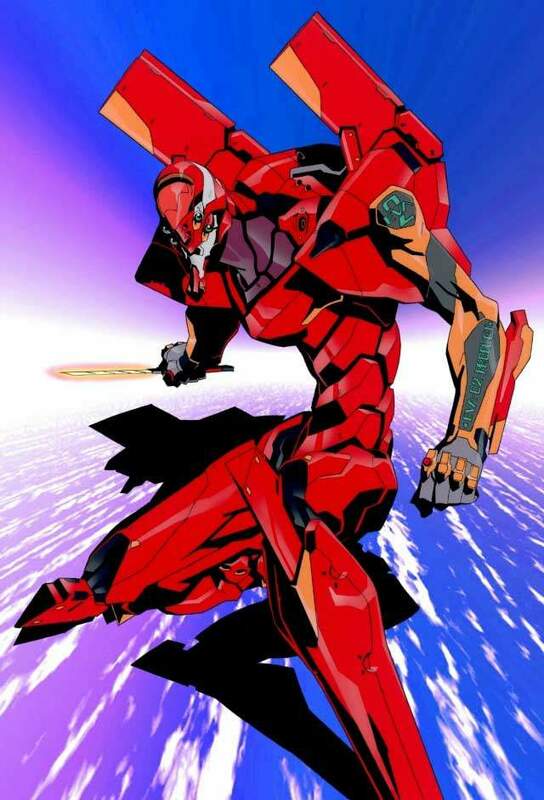 Evangelion Unit 02 was the third Evangelion to be constructed, and the first full production model specifically constructed for combat. It was also the first Evangelion not constructed in Japan: its origin being of Germany, along with its pilot, the Second Child Asuka Langley Sohryu, as well as Ryoij Kaji. The first combat Unit 02 saw was during its shipment to Tokyo-3, accompanied from Wilhelmshaven, Germany by the entire United Nations Pacific fleet. The 6th Angel had suddenly attacked the fleet, wiping out a total of a third of the fleet. It was out of desperation that Asuka, along with Shinji Ikari, engaged the Angel in what had become the first underwater sortie ever for an Evangelion, destroying the Angel in the end. What was not known at the time was that Kaji was transporting Adam, the 1st Angel, and he had left the fleet before the battle ended. In spite of the impressive battle record that Asuka had racked up in Unit 02 during her time in Tokyo-3, in time she suffered a nervous breakdown after a few failures. As a result, SEELE, the parent organization of NERV, had send the Fifth Child, Kaoru Nagisa, as a replacement. But soon it was found out that Kaoru was actually Tabris, the 17th and last Angel, and had taken control of Unit 02 to infiltrate Terminal Dogma, the alleged holding place of Adam (actually, it was Lilith, the 2nd Angel, that was imprisoned there). However, Shinji was able to defeat Unit 02 and kill Kaoru. Unit 02 was later destroyed when Asuka, who had regained her mental faculties, battled Evangelions sent by SEELE for the purpose of initiating Third Impact.